Making financial arrangements for clients generally requires 6 stages from the initial meeting to the ongoing management of their funds. Below is a brief description of what a new client of Churchill Wealth Management may expect from the initial point of contact to the management of their portfolio. 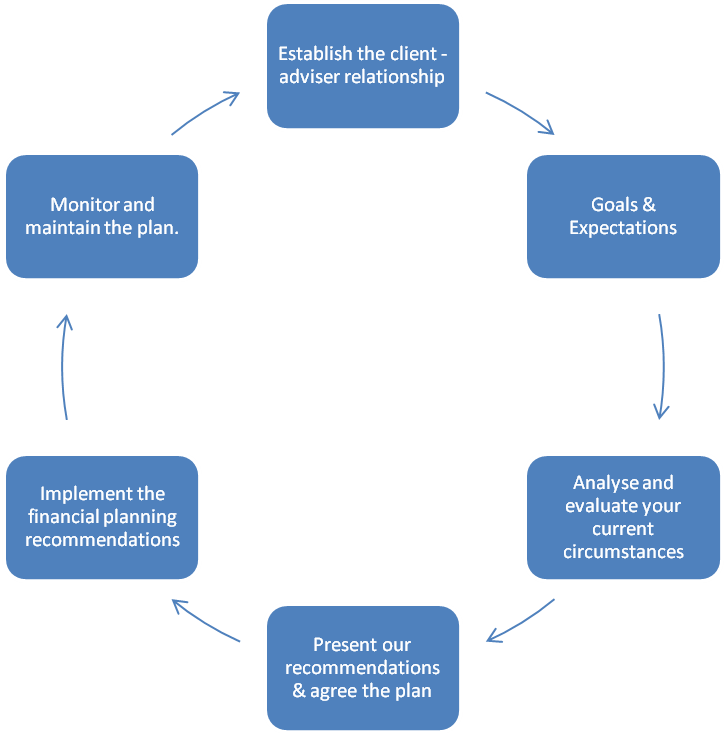 Click on number on each stage for detailed information about the financial planning process. I recently inherited some money and wasn’t too sure what to do with it. I met with Antony and Matt and they put together a long-term financial plan for me. I’ve now invested through an ISA and a general investment account and I am also saving regularly through a SIPP. I feel like my hand has been held throughout the whole process which I needed as I’ve never really dealt with savings or investments before. They were really nice guys to deal with.